Have you seen BB-8's character key? The adorable BB-8 gets his own character key! 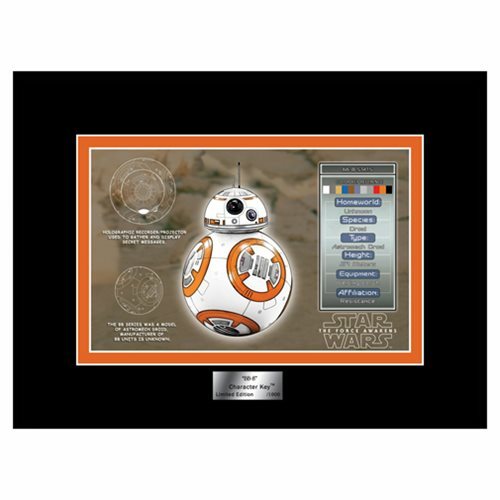 This Star Wars: The Force Awakens BB-8 Character Key features an image of the hyper-popular little astromech droid along with a number of his technical specs. Character Key is a limited edition of 1000 pieces and measures 8-inches wide x 6-inches tall. Ages 13 and up.